‘Swan Lake’ is filled with thrilling moments for audiences, but none are quite as iconic as those 32 fouettés, which have been the bane of ballerinas for more than a century. It’s a sudden, astonishing flurry, in a scene full of fireworks. In Act III of “Swan Lake,” as two dancers trade solos after a wickedly intricate pas de deux, the ballerina playing the Black Swan makes her way to center stage and begins to turn. And she turns, and turns, and turns, on the same leg, over and over, as the music builds — completing, ideally, 32 fouetté turns before the solo’s triumphant end. “Swan Lake” — which opens, in a production choreographed by Kent Stowell, at Pacific Northwest Ballet on Feb. 2 — is, of course, much more than a sequence of turns. The technically and artistically demanding double role of Odette (White Swan) and Odile (Black Swan) is perhaps the most difficult in all of ballet. It’s a potentially heartbreaking portrait of two complex and very different women: one trapped in a swan’s body by a cruel spell, the other a villain scheming against her. A dark fairy tale set to a magnificent Tchaikovsky score, the ballet is filled with thrilling moments for audiences. But none are quite as iconic (some might say notorious) as those 32 turns, which have been the bane of ballerinas for more than a century. The turns get their name — “fouet” is French for “whip” — from the whipping movement of the free leg, which completes a circle of its own during the turn. 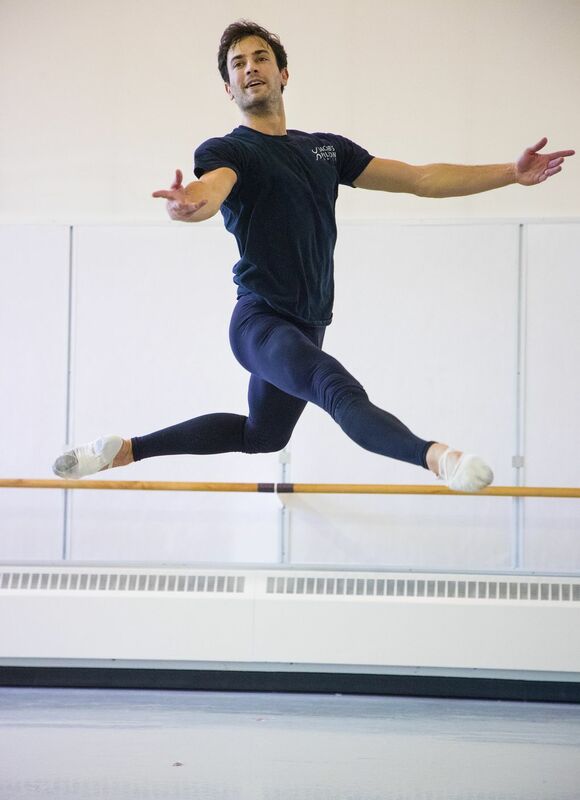 It’s a complex combination of movements, balanced on the tip of a pointe shoe and requiring steely control yet airy grace, with no partner to lean on and no room for error. Contemporary dancers who dread the moment can thank the Italian ballerina Pierina Legnani, who thrilled audiences at Russia’s Imperial Ballet in 1893 in a production of “Cinderella” featuring 32 fouetté turns (a trademark move for her). The choreographer Marius Petipa, dazzled by her ability to execute lightning-fast spins, tossed the feat into “Swan Lake,” where it remains to this day. (Most contemporary productions of “Swan Lake,” including PNB’s, are heavily influenced by the work of Petipa and Lev Ivanov, who overhauled an earlier version of the ballet in 1895 to create the work as we know it.) Other classic works, such as “Don Quixote,” also include a 32-fouetté moment for the ballerina, but “Swan Lake” is the feat’s most famous home. Over the years, some great ballerinas have struggled with the move — or avoided it entirely. Margot Fonteyn was criticized for wobbly turns; Maya Plissetskaya, a midcentury superstar at the Bolshoi whose Black Swan was revered, famously replaced the fouettés with fleet pique turns. Others add their own twists. Carrie Imler, a former PNB principal and brilliant spinner (immortalized in a viral video), was able to vary her arm position during the turns to thrilling effect. (Imagine what it does to your balance to suddenly raise both arms above your head.) And many throw some double turns into the single-turn mix. Each of PNB’s Odette/Odiles (which also include, for this production, principals Sarah Ricard Orza and Noelani Pantastico) has some liberty in how she’ll approach the 32 fouettés. Rausch prefers the traditional route of 32 single turns; Tisserand throws some doubles into the mix; Murphy, who’s dancing the role for the first time (though she has experience with fouettés in “Don Quixote”), says she’s still figuring out what she’ll do. In the moment, each said, the swell of the music and the energy of the crowd can be encouraging and helpful. “You feel people start to get excited, and you’re like, ‘OK, I’m so close!’ It’s like everyone’s on your team,” Murphy said. All agreed that the final eight turns — they think of the sequence as four sets of eight — make for the toughest moment. Normally, Tisserand said, eight fouetté turns are simple to do. “But that music shifts and you’re like, OK, I have eight more!” Exhaustion sets in, and those last turns become a superhuman feat. And what are they thinking about, as they whoosh around and around? Ideally, not a lot. “I always find in performance, the most rewarding moments are those moments when you’re dancing and you’re so fully present that no other thoughts enter your mind,” Rausch said.